Jnanasrimitra (975-1025) was regarded by both Buddhists and non-Buddhists as the most important Indian philosopher of his generation. His theory of exclusion combined a philosophy of language with a theory of conceptual content to explore the nature of words and thought. Jnanasrimitra's theory informed much of the work accomplished at Vikramasila, a monastic and educational complex instrumental to the growth of Buddhism. His ideas were also passionately debated among successive Hindu and Jain philosophers. 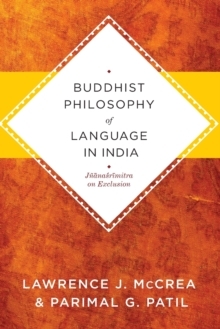 This volume marks the first English translation of Jnanasrimitra's Monograph on Exclusion, a careful, critical investigation into language, perception, and conceptual awareness. 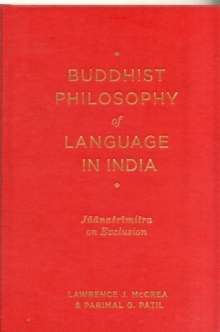 Featuring the rival arguments of Buddhist and Hindu intellectuals, among other thinkers, the Monograph reflects more than half a millennium of competing claims while providing an invaluable introduction to a crucial philosopher. 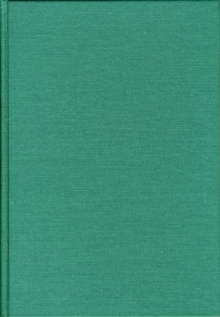 Lawrence J. McCrea and Parimal G. Patil familiarize the reader with the author, themes, and topics of the text and situate Jnanasrimitra's findings within his larger intellectual milieu. Their clear, accessible, and accurate translation proves the influence of Jnanasrimitra on the foundations of Buddhist and Indian philosophy.